Wednesday night the Jewish festival of Sukkot starts. During this 8-day festival we eat all of our meals outdoors in a temporary hut called a sukkah, which most families build in their back yard. As the chilly fall weather rolls in here in the Northeast, we’re brainstorming what to wear that is tznius, sufficiently dressy yet appropriate for the outdoors. Although the first two and last two days of this festival are celebrated as especially holy days, where we dress up in our best clothing and everyone attends synagogue, the middle days in between are more casual. We call this period “Chol HaMoed.” We often spend it eating meals at other peoples’ houses in their sukkahs. This is our first time playing around with Polyvore and we thought we’d make our first set a Chol HaMoed outfit – Warm enough for the outdoors, dressy enough for going to dinner at a friend’s house, and casual enough to not feel uncomfortable trudging around on someone’s lawn. This outfit celebrates the arrival of weather that’s cool enough to pull out corduroy, slouchy knit berets, and tall boots from your winter clothes stash. It’s so much easier to be tznius when the weather cools down! Shade Clothing is having an “Everything Must Go” liquidation because their stores and website are closing. Sad news for those who love their clothing, which caters to Latter Day Saints’ (Mormon) modesty standards but is also useful to other modest dressers who often enjoy their layering basics. You can find lots of great deals on their sale page. Everything on the site appears to be marked down. And if you’re in Pleasant Grove, Utah? Stop by their ongoing warehouse liquidation sale. Sad about Shade’s closing? Well, according to this letter (PDF), Shade may be… um… resurrected at some point in the future. 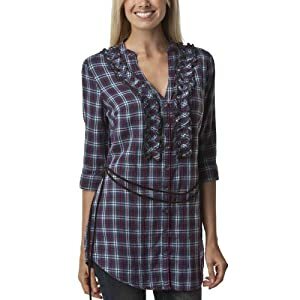 If you already own a plaid tunic, I dare you to try something new, such as layering it over a long-sleeve tee or adding a wide belt. The cosmetics, skincare and fashion company mark. is known for their high-quality fragrance-free skincare line and for their makeup. However, they also sell clothing and accessories. I have friends who don’t even wear makeup but like to order their extremely inexpensive purses, for instance. Right now the mark. store has some items listed that are of interest to modest dressers. I really like this hat a lot, and intend to order it. It looks like it might even have enough room in it to put some of my hair up inside. But even if it doesn’t, it’s a great style for me. I like to wear women’s clothing that looks more like “menswear” and this fits with that look. I’m posting these scarves here because from the moment I saw them I envisioned them jazzing up a tichel or hijab. Click here for a picture that can give you an idea of how to wear it with a hijab. Narrow scarves can be used to add pizazz to a tichel/headscarf and to help keep it from slipping! To give you a sense of how scarves like this can be used with tichels and other headwraps, here is a picture of a lacy narrow scarf used to accessorize and secure a Style Underground tichel. Of course, they can also just be worn as headbands or… wait for it… scarves! 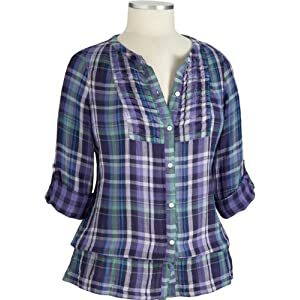 The neck on this shirt is a little too low for me, as I prefer to cover my collarbone. 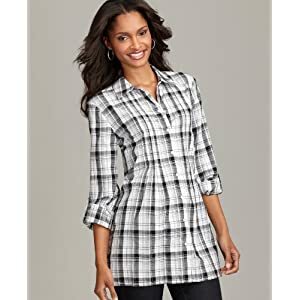 However, I love the elbow-length sleeves that are in style this year, and I think these shirts are so lovely I decided to post them for those of you who are okay with your collarbone showing. 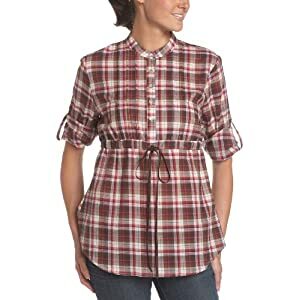 These shirts look like they cover all of one’s cleavage, but expose some of the upper chest. You’ll look like a ballerina! Right now you can get FREE SHIPPING for a limited time if you place an order of $25 or more. Enter MARKFS25 at checkout. 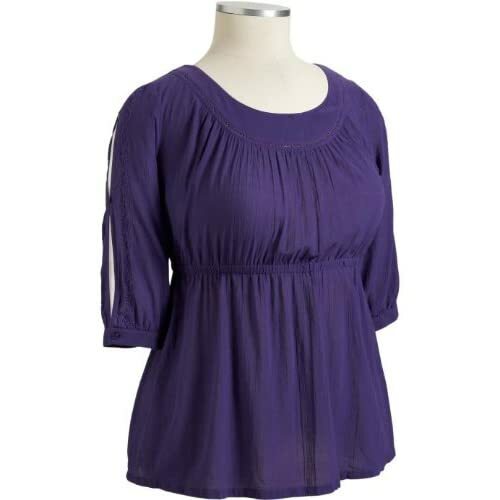 This top would look great over a Mossimo® Black: Women’s Tissue Tee – Dark Heather Grey for fall. The Mossimo Tissue Thin Tees run large and their XXL fits up to a Size 22. I’d wear it with an ankle-length denim skirt. 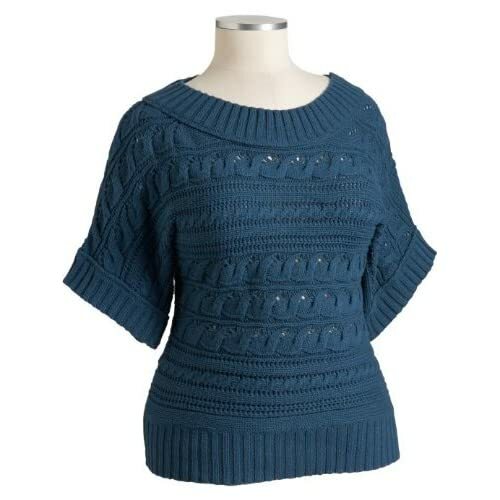 I am thinking of ordering this sweater to wear with the Old Navy Slub Knit Swing Skirt that I already own in heather gray. 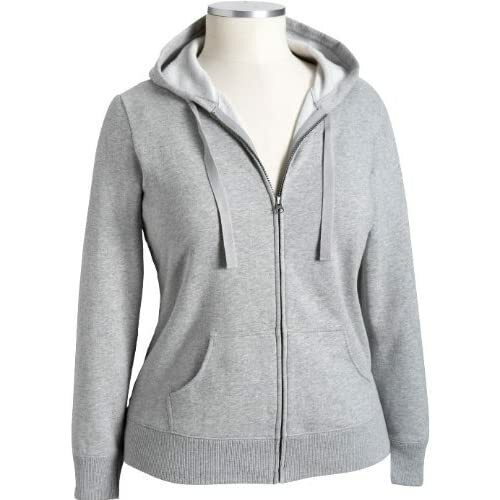 An all-around, all-purpose hoodie at a dirt cheap price. What more can I ask for? I love Old Navy for their sales. order and 4% CASH BACK on your Target order by signing up (free) for Mr. Rebates. Welcome to Empowered Modesty: Clothing That Leaves Something to the Imagination. This is a style blog dedicated to sharing style ideas and sources for affordable, real-life modest clothing for real-life women with real-life bodies! What does the “empowered” part of the blog title mean? It means that we focus on women making choices about covering our bodies based on our own power and agency to make choices as women, rather than just on “following the rules”. Even though we are mostly faithful, religious women whose modesty choices are informed by religious requirements, we can also view our modest fashion choices as a way of being empowered modern women who deserve to be seen as more than just our bodies. This blog focuses on clothing that makes us feel empowered and attractive while “leaving something to the imagination” by not being revealing. We believe that clothing needn’t be high fashion or frumpy to be modest and stylish. This blog is for you, whether you adhere to Jewish tzniut guidelines, Islamic modesty laws, or other religious modesty requirements… or you dress modestly for personal, feminist, medical or political reasons. There are as many reasons to dress modestly as there are people. We will include everything from hijabs (Muslim headscarves) to long skirts to pants, so there’s something for everyone. Welcome! Don’t hesitate to drop us a line if you have ideas to share. Posted in About Us, What Is Modesty?